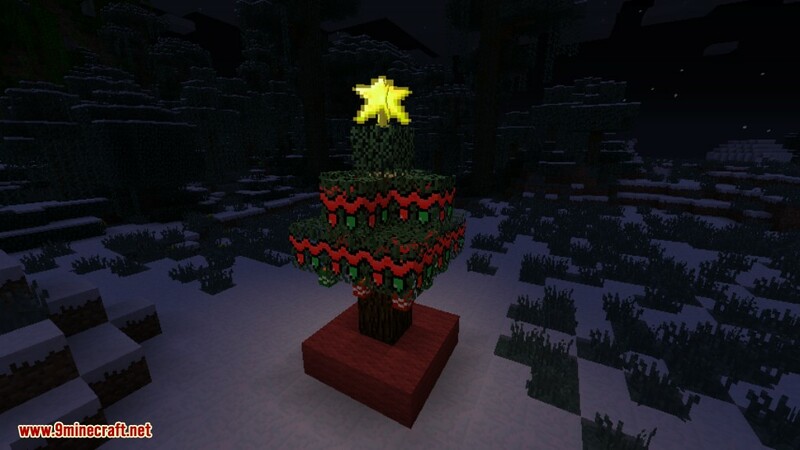 Wintercraft Mod 1.8.9/1.7.10 adds tons of Christmas related items. 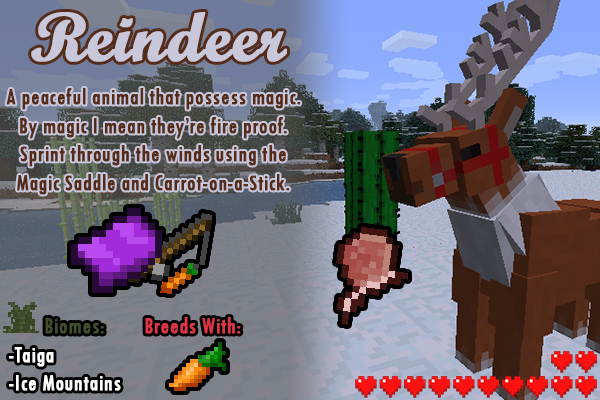 You can easily decorate your world for Christmas and enjoy many different types of foods. 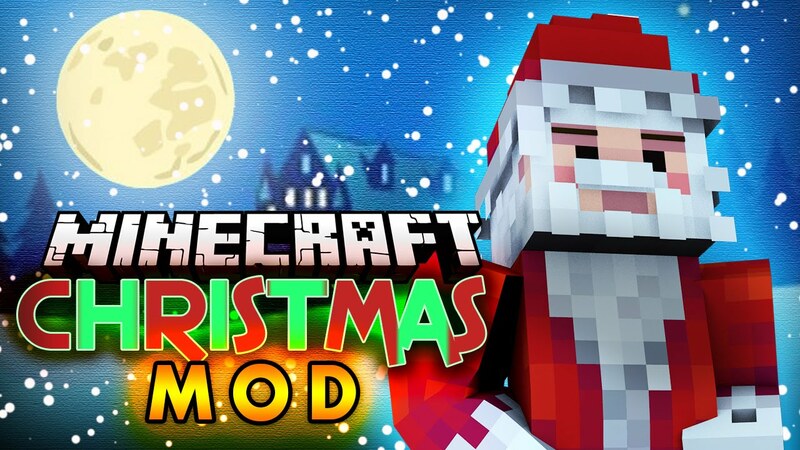 The most unique aspect of this mod is that setting up a Christmas Tree correctly will cause Santa to come to your house and give you presents. 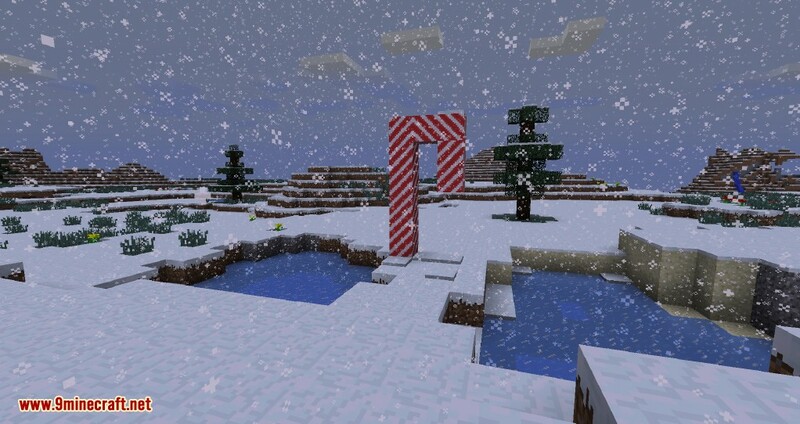 This mod adds more wintry, Christmas items, blocks, events into your Minecraft worlds. 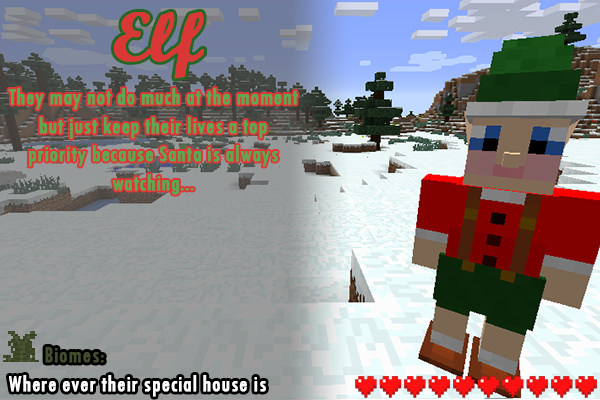 Have you ever wanted Santa to visit or maybe have it snow in every biome? 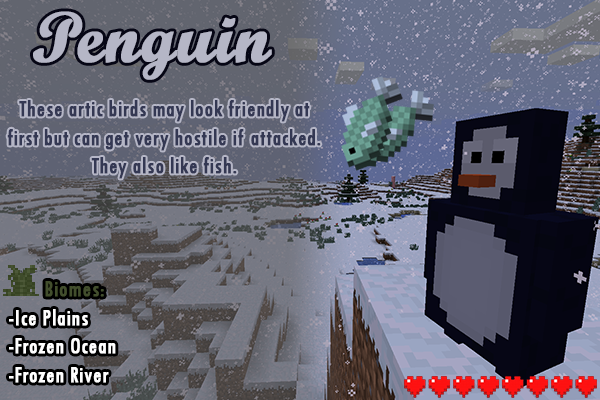 Then check this mod out for that and much more. Snow everywhere during the months of December and January. 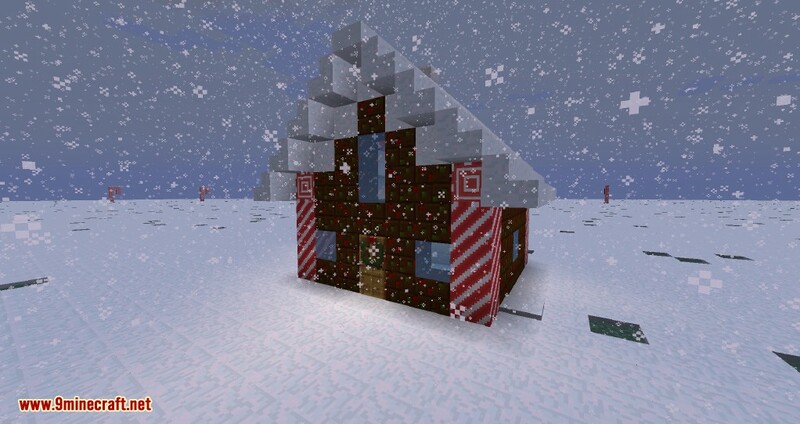 Santa Visits when you leave some Cocoa and Cookies for him. 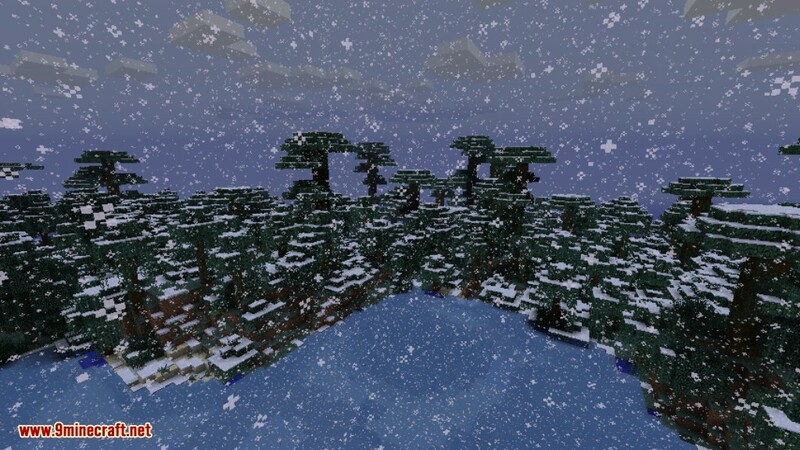 Snow Everywhere: During the months of December and January in real-time, it will snow in every biome and freeze up the water everywhere. This of course can be changed in the config to how you wish. 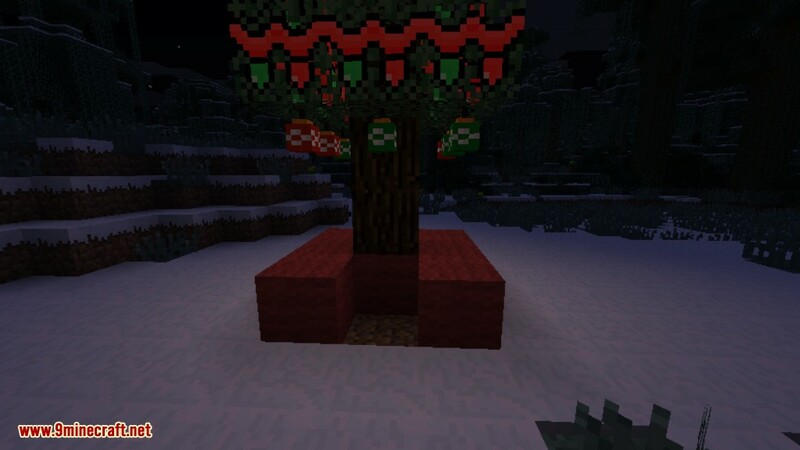 Santa is Coming to Town: Constructing a tree like the one above will grant you the chance for Santa to come! You can have the ornaments and wool whatever color you desire but you must always place the star last! After you should hear a jingle that tells you Santa can visit. 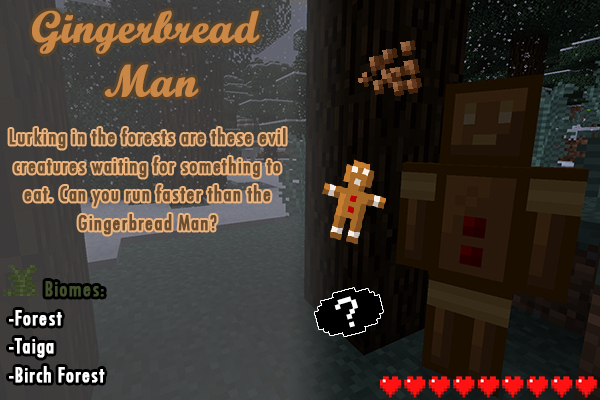 The last step is to carry one Hot Chocolate and one Christmas Cookie in your inventory when going to bed. Also keep in mind that there is only a 50% chance that he will actually come so keep on trying if you did everything right. You’ll know that you did it correctly when your treats are missing, you hear a humble voice, and you see the presents underneath the tree. 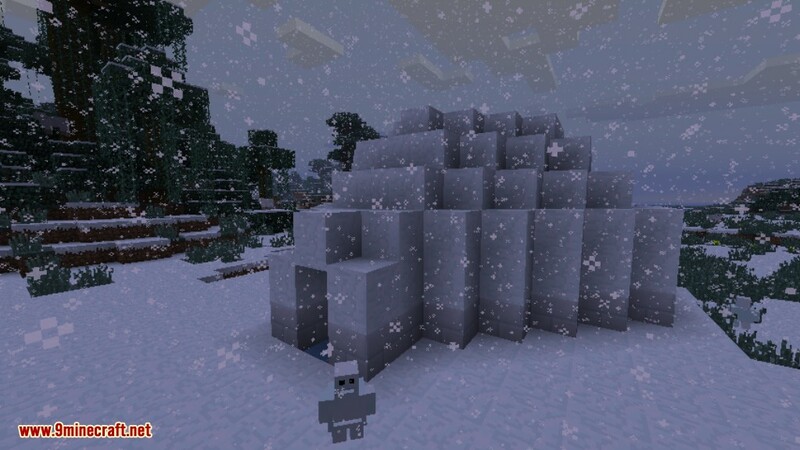 Igloos: Sometimes these icy domes will spawn with Presents inside! 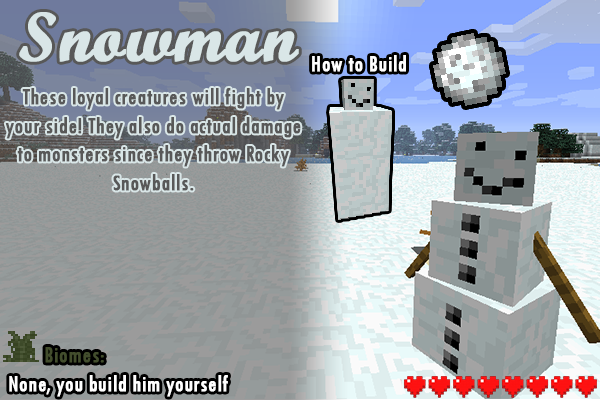 But be warned, as deadly Mini Snow Golems also inhabit the igloo, and they are not welcome to people coming into their home. Giant Candy Canes: These giant treats will always have something special underneath them. Sometimes it is good, sometimes bad. 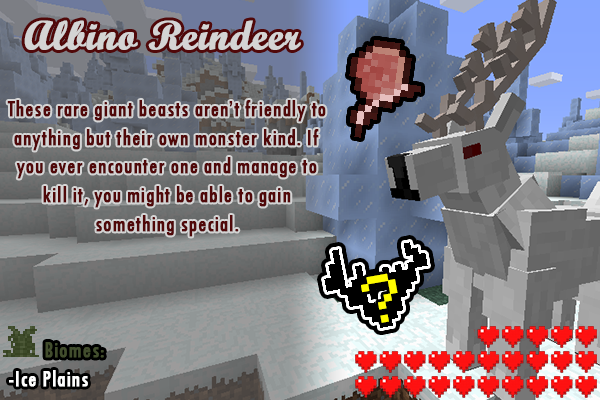 Also remember harvesting the Candy Cane Logs will need a Candy Cane Axe. Elf Cottages: This rare structure houses the Elves. There house is filled with goodies if you’re lucky enough to find one. 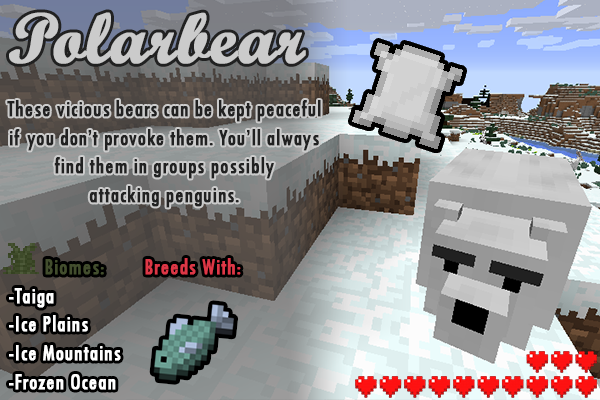 Ice Block – Used in the mod a lot so why not? Iced Stone – A decor block that can be used to make Chiseled Ice tools. Iced Cobble – A decor block that can also be used to make Chiseled Ice tools. 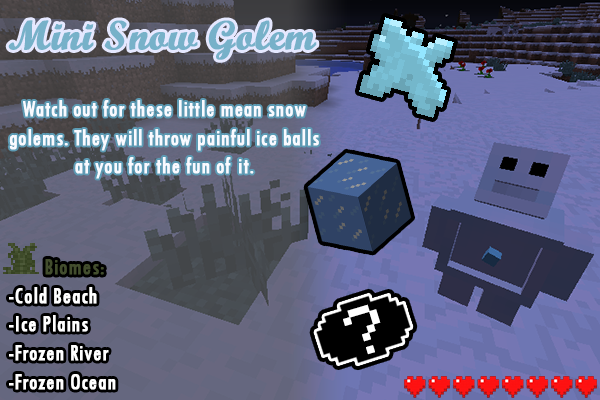 Purified Ice Gem – Same as a corrupted Ice Gem except it won’t kill you. Iced Ingot – An item used for Refined Ice Tools. Iced Crystal – An item used for Crystal Tools. Ice Balls – A throwable ball that hurts more than a Rocky Snowball. Vanilla Icecream – Used to make an Icecream Cone. Chocolate Icecream – Used to make an Icecream Cone. Strawberry Icecream – Used to make an Icecream Cone. Cookie-Dough Icecream – Used to make an Icecream Cone. Iced Magma Cream – Used to make an Icecream Cone. 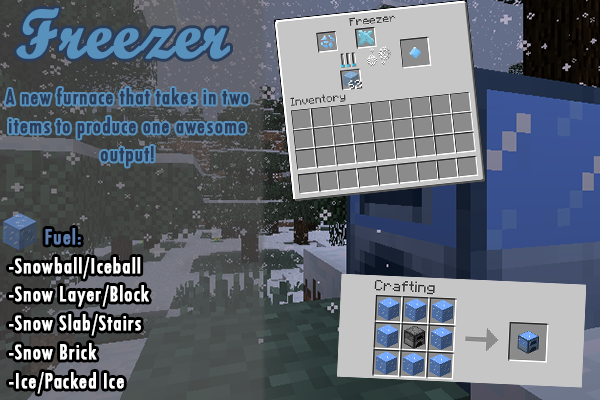 Freezer – An important Utility Block that takes two inputs to produce an output.